To enjoy winter mountaineering with maximum safety you need to know about specific techniques, gear, equipment, etc. 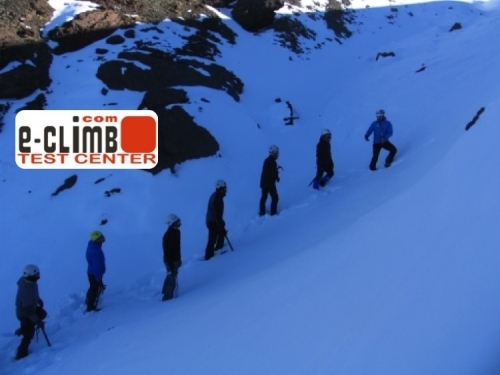 This course is offered to everyone who wants to begin doing winter mountaineering by his own with safety. Gear and equipment for winter mountaineering. Progression techniques in snow terrain. Basic progression with ice axe and crampons. Self-detention techniques with ice axe. Basic rope use in winter mountaineering.